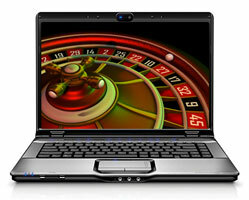 Some examples of the best online roulette games without zero pockets and the lowest casinos advantage, where to find and play them. There are a lot of roulette game variations that provide different playing conditions and could be even equipped with roulette wheels of diverse designs, which leads to various house odds inherent in certain roulette versions. All gamblers have their own preferences concerning the type of roulette game and roulette rules and it is just impossible to define the best online roulette; therefore, we would present you a list of most interesting game's versions with brief description of their playing conditions. It is widely known that the house advantage in roulette game is determined mainly by the quantity of zero positions in roulette wheels. For instance, European game has only one single zero slot and offers house odds of 2.7% while American play is less favorable providing also double zero slot and thus, has house edge of 5.25%. In case of No zero roulette game there is no zero pockets at all, which makes it completely fair. In other words, if players bet on red/black or odd/even numbers in No zero game they would have exactly 50% to win, which means that in long run gamblers' average results is just a break even. Therefore, in terms of house advantage No zero roulette could be said to be the best online roulette variation. Mini roulette game is rather similar to usual European roulette as it comprises just one single zero position on its wheel. The difference is that Mini roulette provides just 12 numbered pockets plus 0 position instead of 36 slots and one zero. The rest of playing rules is the same as in full roulette game: players are allowed to make bets on numbers or their combinations, red or black color, odd or even numbers and so on. However, the quantity of numbers that is included in some stakes like dozens is diverse, which makes difference between the payouts for this kind of bets. Le Multicolore is usually referred to roulette games, but it actually includes a lot of billiards' features as well. Le Multicolore play is equipped with a round table with a movable disc, which usually has 25 colored and numbered cups in it. All the pockets are divided into 4 groups of 6 cups, which are colored equally red, yellow, white and green while the last cup is blue. Each color have one cup assigned for number 4, three cups for number 3 and two cups for 2 with an exception of blue color, which has only one cup numbered with 24. Players are free to make different bets and in case of winning get the payoff, which corresponds to the cup's number.